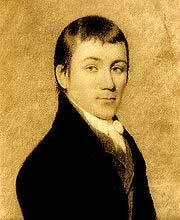 According to Wikipedia, the author, "Charles Brockden Brown (1771 – 1810), is generally regarded by scholars as the most ambitious and accomplished US novelist before James Fenimore Cooper. He is the most frequently studied and republished practitioner of "the early American novel," or the US novel between 1789 and roughly 1820...a crucial figure in US literature and culture of the 1790s and 1800s, and a significant public intellectual in the wider Atlantic print culture and public sphere of the era of the French Revolution. " According to Evert Jan van Leeuwen, writing in The European Journal of American Studies, Brown’s landmark novel, Wieland (1798), was at least partially inspired by the local legends of Kelpius. "Brown’s imagination may also have been fuelled by legends of Johannes Kelpius’ ‘renowned group of ’Saxon ’radical pietists,’ who settled in Pennsylvania in the seventeenth century and dabbled in the mystical doctrines of Jacob Boehme, Jewish Cabbala and Rosicrucian philosophy. Kafer’s research suggests that Brown’s great-grandparents ’almost certainly came into contact with the Hermits of the Wissahickon ’ (Kafer 114-115). 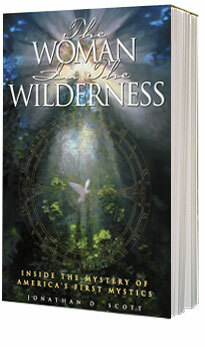 In the context of the legends surrounding the hermetic order of Kelpius, Carwin’s flight from home into the wilderness and his subsequent development of preternatural powers becomes much less a product of Brown’s gothic imagination and more the product of a writer attuned to the historical legends of his native region. Kelpius and his group were religious millenarians, who settled in Pennsylvania with the conviction that it was there that the second-coming would take place and where a Christian Utopia on earth could be established. Carwin’s curiosity for secret knowledge, his interest in the future and attraction to utopian schemes seem like the products of Brown’s own visionary mind as well as the stories circulating in Brown’s culture about Pennsylvania’s immediate history. " "A shadow falls over the Enlightenment when a stranger pays a visit in this tale of one family's slide down the slippery slope of reality. 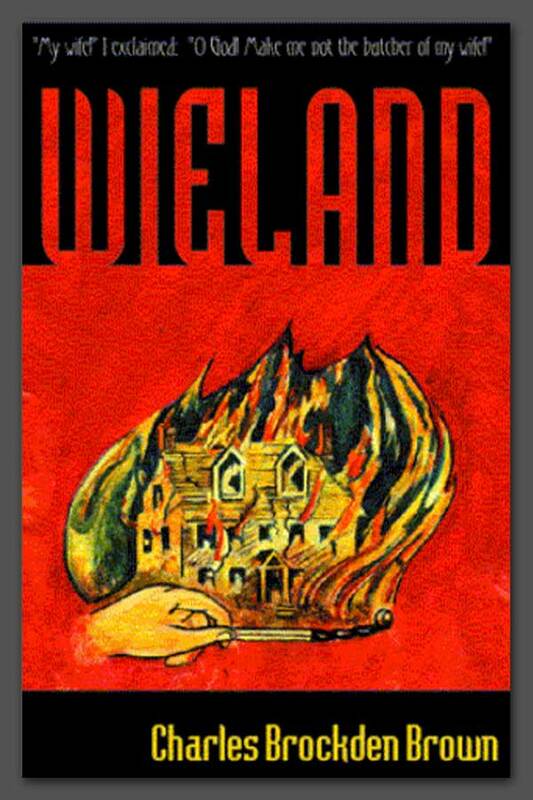 Featuring spontaneous combustion, demonic ventriloquism, murder and madness, Wieland offers a wealth of high weirdness for fans of the paranormal. " In 1848, fifty years after the publication of Wieland, Philadelphia novelist, journalist, playwright, social activist, and labor organizer, George Lippard published a sensational novel that was overtly inspired by legends of Kelpius. It is certain that Lippard was intimately familiar with the area where Kelpius lived and was widely reported to have been married at midnight at a dramatic overlook near the site of Kelpius’ famed Tabernacle. 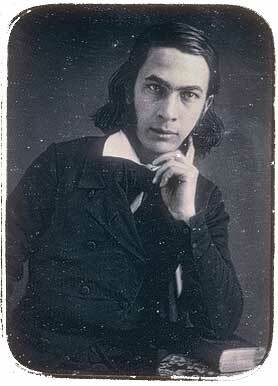 Wikipedia states, "Nearly forgotten today, he was one of the most widely-read authors in antebellum America. A friend of Edgar Allan Poe, Lippard advocated a socialist political philosophy and sought justice for the working class in his writings. He founded a secret benevolent society, Brotherhood of the Union, investing in it all the trappings of a religion; the society, a precursor to labor organizations, survived until 1994." Carsten E. Seecamp, writing for the Historical Society of Pennsylvania in 1970, delinated the connections between Kelpius and Lippard in an article entitled, "The Chapter of Perfection: A Neglected Influence on George Lippard. " 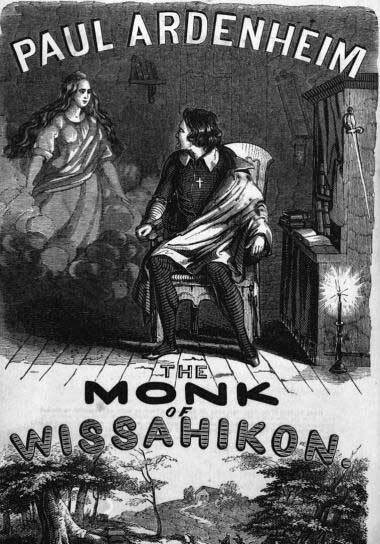 Paul Ardenheim: Monk of Wissahickon is a novel filled with mystery, sexual tension, murder, demons, curses, spells, secret societies and the power of goodness, all portrayed in a 19th century naïve boldness. "In a word, the book of ’Paul Ardenheim’ is embodiment of three things: FIRST, the Legends which give interest to the dell of the Wissahickon, now grotesque, now terrible, and now sublime..."
By 1921, Julius Sachse had published the results of his research into the history of the Kelpius Community and, although riddled with his own speculations, the material offered a much more solid base for historical fiction. J.A. 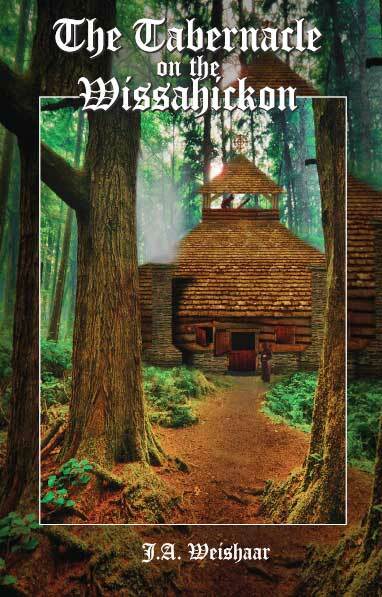 Weishaab of Williamsport, Pennsylvania published The Tabernacle of the Wissahickon in 1921. "Most of the characters in the story are historical, and are represented as people of their time, as they thought, felt and lived. In a story of this kind the religious impulse in man must necessarily find predominant consideration, for the simple reason that the settlers of the most important colonies in our country were primarily led by religious motives…The fact that works of fiction dealing with the beginnings of colonial life on our continent are rather scantily represented in American literature may vouchsafe the right of existence for this book. " This charming book is free of the gothic aspects of Brown and Lippard. Purchase this book from The Kelpius Society.